I received a free copy of The Promise for my honest review. 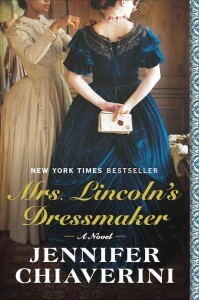 Young pianist Catherine Wainwright flees the fashionable town of Dayton, Ohio, in the wake of a terrible scandal. Heartbroken and facing destitution, she finds herself striking up correspondence with a childhood admirer, the recently widowed Oscar Williams. In desperation, she agrees to marry him, but when Catherine travels to Oscar’s farm on Galveston Island, Texas—a thousand miles from home—she finds she is little prepared for the life that awaits her. The island is remote, the weather sweltering, and Oscar’s little boy Andre is grieving hard for his lost mother. And though Oscar tries to please his new wife, the secrets of the past sit uncomfortably between them. Ann is the author of The Promise and The Personal History of Rachel DuPree. She was nominated for England’s 2009 Orange Prize and for the 2009 Orange Award for New Writers. In the United States, she won the Stephen Turner Award for New Fiction and the Langum Prize for American Historical Fiction. She was shortlisted for the Ohioana Book Award and was a Barnes and Noble Discover New Writer. 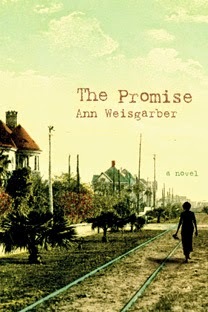 The Promise takes place in Galveston, Texas, during the time of the historic 1900 Storm that killed thousands. Ann was inspired by an abandoned, dilapidated house on the rural end of Galveston and by an interview she conducted when writing an article for a local magazine. 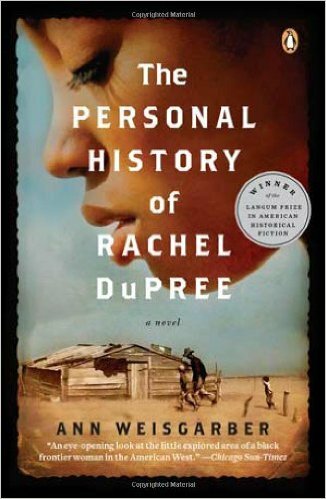 Her debut novel, The Personal History of Rachel DuPree, takes place in the South Dakota Badlands during 1917. It was inspired by a photograph of an unknown woman sitting in front of a sod dugout. In addition to Ohio and Texas, Ann has lived in Cambridge, Massachusetts, and Des Moines, Iowa. She now splits her time between Sugar Land, Texas, (home to Imperial Sugar Company), and Galveston, Texas. She and her husband, Rob, are fans of America’s national parks and visit at least one park a year. Ann is currently working on her next novel that takes place in Capitol Reef National Park, Utah, during the winter of 1888. This is my second book by the author and I can’t wait for the third. From the minute you open the book and start reading you are drawn into the character’s worlds; in this case upper class Dayton, Ohio, and far from upper class Galveston, Texas in 1900. Ms. Weisgarber is one of those magical authors that writes in such a way that you forget you are reading a book and instead find yourself immersed in whatever world she is creating. Oscar is a dairy farmer on Galveston Island and a recent widower. He has a small boy Andre, who has been cared for by his neighbor, Nan. Suddenly Oscar informs Nan that he is remarrying – a woman from his hometown. Nan is devastated as she had come to care for Oscar and her promise to his first wife – her good friend – to care for little Andre makes it hard for her to accept a new woman. Katherine is running from her old life and a bad relationship and sees Oscar as her only escape but Galveston is a world of different from Dayton. As Katherine and Oscar get to know each other and Andre tries to adapt to the changes in his life a storm is brewing. The Great Galveston Hurricane of 1900 is about to strike and change everyone’s life and lead to promises asked and promises broken. It’s been a long time since a book has caused me to cry and The Promise did that more than once with the power of the writing. I was so very involved with these people I hurt for them and felt their joy. I found myself so in place I swear I could feel sand beneath my feet. I love books that draw the reader in the like this. I did not want it to end and when it did I wanted to turn around and read it all over again. Like Ms. Weisgarber’s first book, this one will stay in my library so I can savor it again and again.